You will earn 13 Catt credits for buying this product. Classroom in the Cloud aims to focus the minds of teachers and school leaders to take advantage of the opportunities presented by the online revolution and the emergence of blended learning. Alex McGrath, Head of King’s Ely Senior School in Cambridgeshire, argues that with planning and co-ordination, huge benefits can be reaped from new ways of learning, complementing the traditions of British education. He looks at the implications for the UK of e-learning practices and techniques introduced overseas and urges teachers and leaders to face the challenges posed by new technology and embrace change. 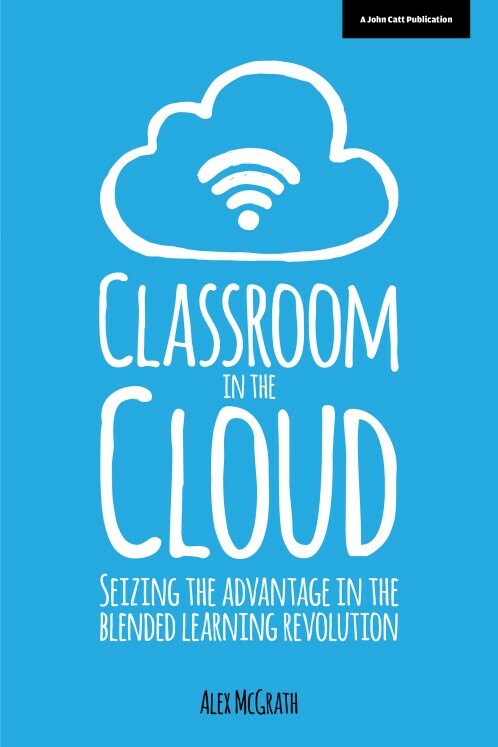 Seizing the advantage in the blended learning revolution Classroom in the Cloud aims to focus the minds of teachers and school leaders to take advantage of the opportunities presented by the online revolution and the emergence of blended learning. Alex McGrath, Head of King’s Ely Senior School in Cambridgeshire, argues that with planning and co-ordination, huge benefits can be reaped from new ways of learning, complementing the traditions of British education. He looks at the implications for the UK of e-learning practices and techniques introduced overseas and urges teachers and leaders to face the challenges posed by new technology and embrace change.